The reading assessment addresses the core skill of Reading as described in the Australian Core Skills Framework (ACSF) and collectively covers both the Reading Indicators and a range of the Focus Areas and Performance Features. The reading tasks are based on a broad range of texts and contexts designed or chosen for their authenticity and relevance to the lives of adult students. Reading questions are presented to students in a simulated online reading environment. A split screen is used to allow a dedicated area for each text, with questions located in a separate part of the screen. Students are able to scroll through longer texts, where necessary, and still retain sight of the question they need to answer. The numeracy assessment addresses the core skill of Numeracy as described in the Australian Core Skills Framework (ACSF) and collectively the assessment covers the three Numeracy Indicators and a range of the Focus Areas and Performance Features. The numeracy questions are set in a range of authentic contexts or domains relevant to adult learners with a focus on workplace and employment, education and training and also personal and community contexts and applications. The CSPA writing assessment contains two short writing tasks. The results from the two tasks combined provide a more reliable picture of candidates’ writing skills. Candidates are given an allocated time limit to complete their responses. They type their essay directly into the web-based system. The scripts are then marked using the latest Intellimetric® essay scoring technology. Advanced analysis techniques that provide instant diagnostic feedback on candidates' writing skills. Reports that pinpoint writing strengths and areas of weakness. A common reporting scale for both writing tasks. Audience, purpose and meaning-making strategies. The mechanics of writing (e.g., vocabulary, grammar, punctuation, spelling). The CSPA online writing assessment scale describes the development of writing, in response to the two writing tasks in this assessment, by adult writers in a vocational setting. The scale provides a common metric for both tasks, and allows performance and growth to be described and monitored. Scale scores are estimates of candidate ability in writing, as measured by this assessment. Scores are located on the measurement scale, and can be validly compared across candidates. The common marking criteria (marking guide) and common candidates completing both writing tasks are the two features of the development of the CSPA writing scale that allow this comparison. In all, approximately 300 scripts were used to develop the scale and to 'train' the online marking system. During the development phase of the assessment, each category of the marking guide was illustrated and described by work samples and commentaries, exemplifying the qualities of writing expected for each category. Because the categories are expressed as a scale score and mapped to the measurement scale, writing quality at points along the scale can be described. It is these descriptions that are mapped to the ACSF and in this way, level boundaries can be drawn on the measurement scale and candidate performance expressed in terms of the ACSF levels. Extensive research into the use of computer-based marking of student writing has been undertaken. Computer-based marking has been proven to be as, if not more consistent than traditional hand scoring. View the article 'An Overview of Automated Scoring of Essays' (external link) recently published in the Journal of Technology, Learning and Assessment. A new component of the CSPA, the Snapshot Reading and Numeracy Indicator (SRNI), is an efficient indicator assessment tool that explicitly sets out to identify those VET learners most at risk in relation to their literacy and numeracy skills. Delivered via the existing CSPA Online Assessment Platform, the SRNI assesses both reading and numeracy against a crucial stage of development – Exit Level 2 of the ACSF. This is considered a minimum level for coping with any level of study within VET. The SRNI can therefore act as a brief assessment to help screen learners prior to enrolment. Any learners identified by the SRNI as below Exit Level 2 of the ACSF should undertake a more comprehensive assessment of their LLN skills using the full suite of CSPA assessments and potentially be targeted for specific LLN support programs. Similarly, many of those learners who the SRNI indicate are above Exit Level 2 of the ACSF in reading and numeracy should undertake a full assessment by CSPA against all five levels of the ACSF. This could be targeted at those learners enrolling in VET courses where the minimum core skills requirements are at higher levels such as at Exit level 3 or 4 of the ACSF. For example, the requirement to have ACSF Level 4 Numeracy skills to enrol in courses such as Nursing or Electrotechnology. Trials of the SRNI have shown that learners take approximately 15 to 20 minutes to undertake the indicator assessment, with 15 questions in each of reading and numeracy. A letter style individual report is available that indicates whether the learner should undertake further LLN assessment. The report and results of the SRNI do not assess against an ASCF level – the full CSPA assessment is required for this purpose. 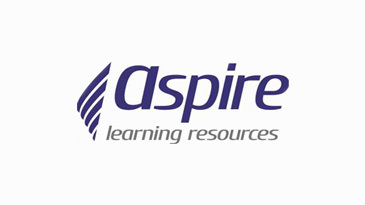 Because of the above reasons the Snapshot Reading and Numeracy Indicator (SRNI) is only available as part of the integrated suite of CSPA assessments and should be undertaken in conjunction with the use and application of the full CSPA assessment, to assess identified groups of learner’s performance against the full range of the ACSF.